When there is severe weather a list of schools that are being affected in Leicester and Leicestershire will appear below. College closed to all years. 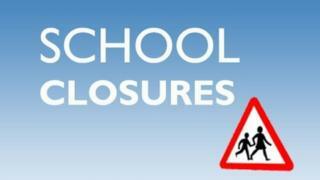 Opening at 10:00 GMT and pupils are being to only travel in if its safe. Schools closed to all years. College's Abbey Park, Freemen's Park and St Margaret's campuses are all closed. School closed to all years due to heating failure. School and unit closed to all years.